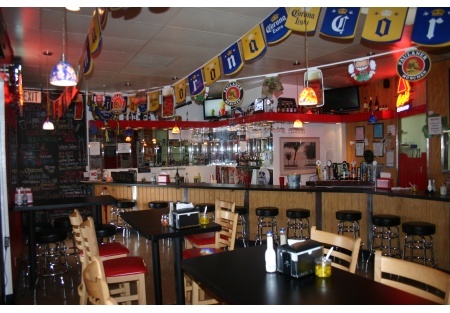 Here is the neighborhood bar and restaurant that you have been looking for. It has only been open since the beginning of 2011 and has already made a great name for itself. The reviews are excellent and after sampling the food and enjoying the great selection of beers available you will want to own this place yesterday. Sales have been increasing monthly and currently are in the 30k per month range. Had the right employees been in place, 40k monthly sales would have already been happening. The location is in South Old Town just minutes from downtown. The densely populated surrounding residential neighborhood has already claimed this place as their own, providing an excellent sales base that is sure to keep expanding as the word continues to spread. The kitchen has a great equipment package in place to prepare the current menu offerings (the pizza and burgers are outstanding) in addition to just about anything else you would like to add to the menu. The beer tap system is a high end system providing twelve different options for tap beer. Football season is upon us, now is the time to get into the bar and restaurant business. The space is 1760 square feet with a rent that includes CAM of only $2650/month. At current sales rates your rent is well under 10%, easy to make money in a place with this kind of rent factor. If you have been looking for a well set up bar, with good sales, great food, a fun atmosphere and cheap rent, here it is, don't miss out on the chance you have been waiting for.